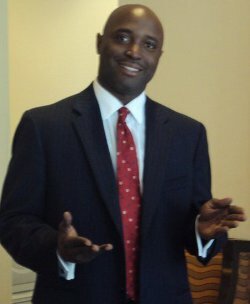 Welcome Author Edward Felder - Evershine Press, Inc.
We are happy to introduce you to Edward Felder, Jr. Ed is the author of “It’s Money in the Bank”. Through his many years of helping business owners achieve much-needed investment funding. His book will show you how to make your business attractive to banks and how to get your bankers attention. This book is structured into 7 simple steps to follow that will not only get you the needed funding for your business, but also show you how to keep your business in good financial health. Even businesses without current funding needs will benefit from the little tips and tricks to keep you business growing. This is the perfect book for every business owner and manager. Ed’s dedication to his clients means in addition to his book “It’s Money in the Bank”, he has also created more great items including an investment boot camp. Ed has earned the title “The Funding Guy” and you can follow him on Facebook and Twitter.